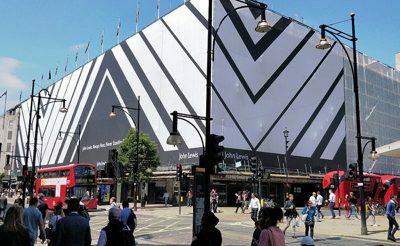 Having recently completed the installation of a giant scaffold banner and separate site hoarding graphics at the future Museum of London Home in West Smithfield, it feels like a great time to take a trip down memory lane and look at some of the best printed site hoarding graphics. 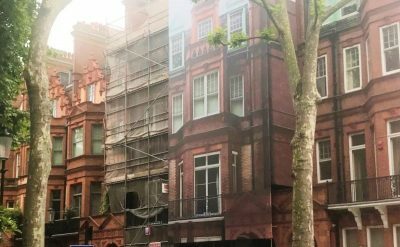 Advertising hoarding for scaffolding is the perfect way to promote your renovation whilst also disguising the unsightly works behind. 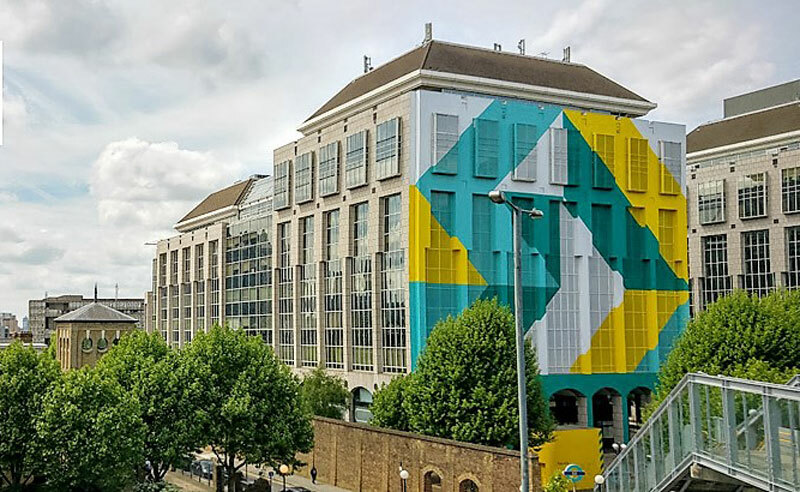 By using the durable graphics you can create the most eye-catching impact for everyone passing by at street level whilst scaffolding banners can be used to dress the site above. 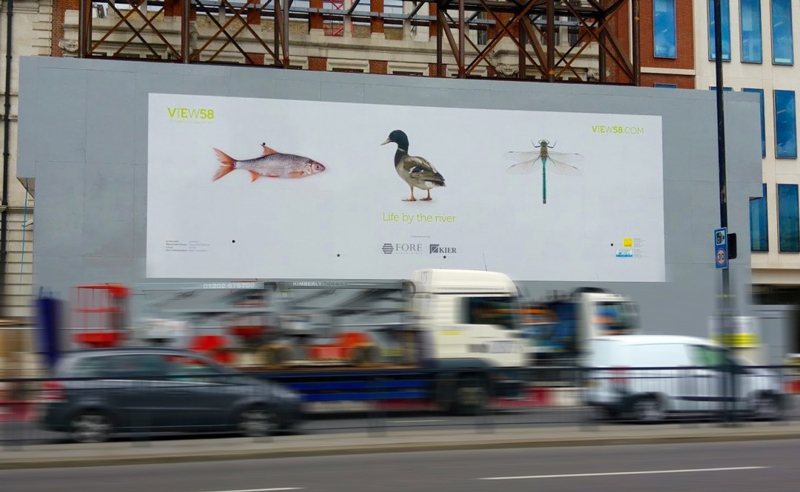  Take a look at the site hoarding graphics gallery or read on to find out more about each project. 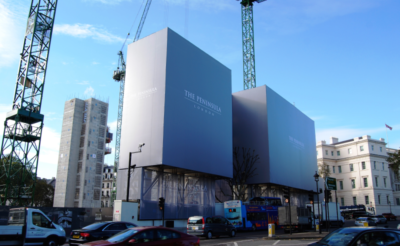 Seven individual 5 x 5 m panels, each unique in exact size and design and accommodating columns, doors and protrusions on the Farringdon Road in London. 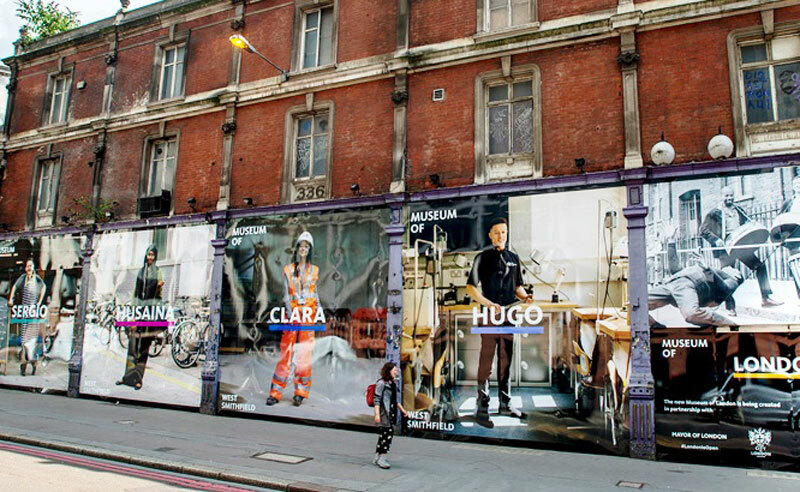 Durable enough to last 5 years whilst the building works continue. 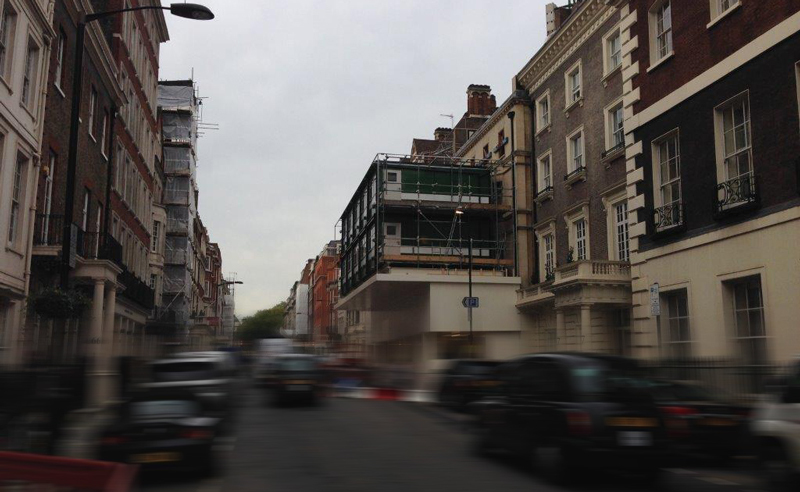 Technically not site hoarding, but we employed the same techniques and materials to disguise an unsightly brick vent structure. 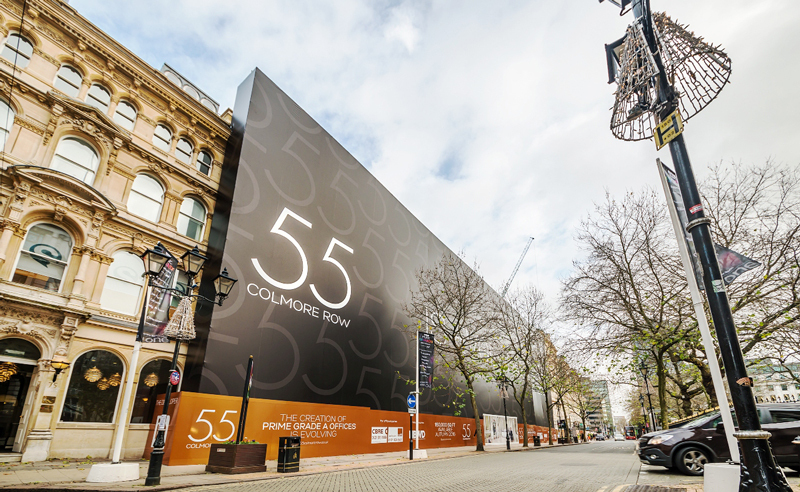 One of the longest – 70 metres of printed site hoarding which also protected the grade II listed Victorian façade beneath the UKs largest building wrap in Birmingham. 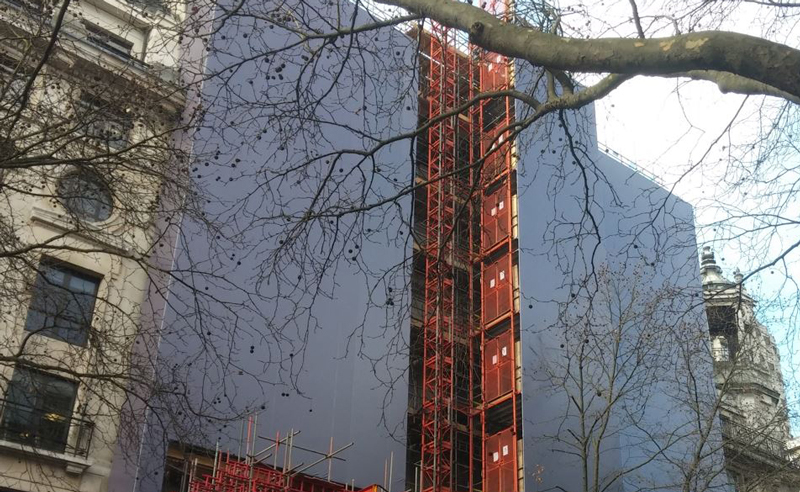 Wrapping an unsightly steel façade retention structure facing the River Thames. 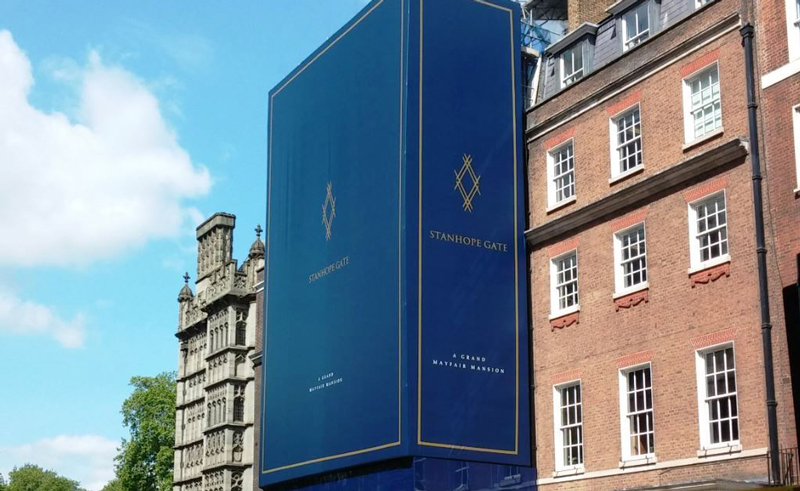 Top quality, high gloss site hoarding graphics covering a grade II listed building in Mayfair. 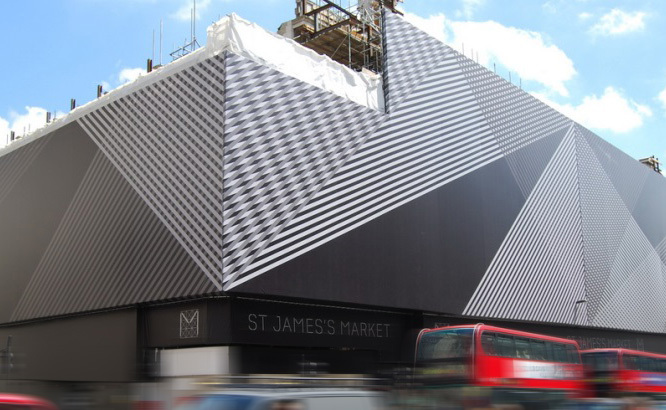 Shielding the 1920s stonework and creating a dynamic visual space demonstrating the scale of the redevelopment. 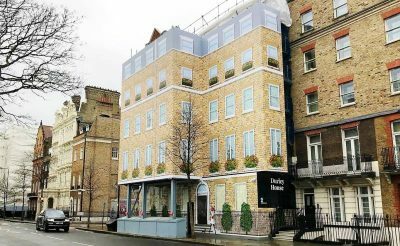 High quality graphics, illumination and even hanging flower baskets at this prestigious Mayfair address. Covering the ply hoarding with printed graphics 8 metres high – triple the usual height and London’s tallest.